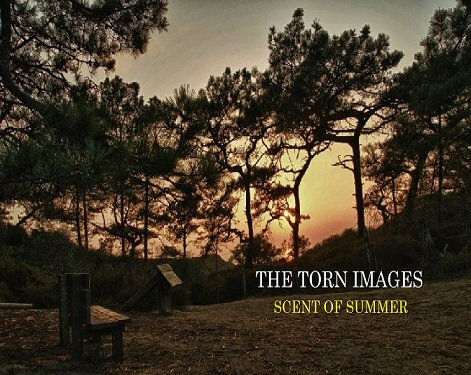 The Torn Images released their first single on Nov. 3, 2012 called Scent of Summer. It is produced by Jon O'Brien which garnered positive reviews by music audiophiles.
" Scent of Summer follows a similar progressive rock style as Muse and kicks off the album. Rock is merged with electronic and progressive styles in this piece; in turn, this blend leads to the conception of ambient, almost other-worldly sounds - a style many refer to as space rock." " Instantly striking listeners is the ominous nature of the track, particularly haunting the underlying percussion beats and Arabaca’s vocals. Merging alternative influences with electronic influences, The Torn Images initiate their differentiations from other artists. “Scent of Summer” strays from elements generally associated with summer, instead focusing on ambient elements, a consistent combination of eighth and sixteenth note taps on the hi-hat, and echoing, haunting keys. In full control of the tracks’ nature is Arabaca, who consistently delivers vocals that don’t attempt far from his range, except from the higher notes he hits towards the song’s completion. The song embodies what The Torn Images stands for and epitomizes atmospheric rock."